Changing food DNA via GMOs. Stemming from that 100-year epic onslaught, we humans created mega-cities around the world featuring 10 million, 20 million to 36 million people. We contaminated rivers with our poisons and the air with our fossil fuel exhaust, clear-cutting forests and rainforests by the millions of acres. Our onslaught of the Natural World is causing the “Six Extinction Session,” with other species losing their existence 24/7 to our encroachment upon their habitat. DNA foundation of the Natural World. To add insult to Borlaug’s warnings, we stampeded from 3.5 billion people to 7.3 billion in 2015, along the way tinkering with the structural DNA of plants and animals. But we forgot to ask Mother Nature if our meddling in her business would cause any harm. My research on GMOs connects their horrific harm to the Natural World and ultimately to us, humans, and shows that a “GMO Frankenstein” is being foisted upon Man and the other species with which we share the planet. If you look at human cancers spreading like wildfire across America and the world and every physical ailment we face in America – along with the accelerating damage to bees, other pollinators and to the fish in our oceans – you will become appalled at this onslaught and its final consequences. 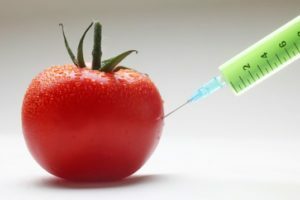 What I discovered in my research: GMO manufacturers do not want you to know, along with high government officials, the deleterious effects on the Natural World that GMO food production causes in the long run. These mega-giant corporations “own” regulatory agencies, government officials and other complicit chemical companies around the world. 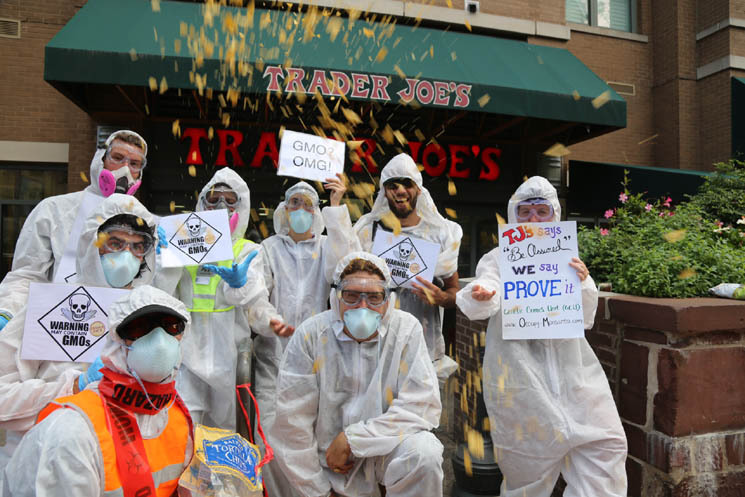 Protestors take a stand against GMOs. This mass movement of people is happening around the world. As America and other nations continue on their immigration juggernaut, GMO food production will continue to pretend to feed humanity, but in fact it will be crippling the natural world, all living creatures and the structural systems that allow all life on Earth to remain in balance, allowing us all to thrive. This entire food predicament stems from humanity’s overpopulation of the world. It’s about our species overwhelming the carrying capacity of this planet. It’s about the end result, which will not be pretty for any living creature in the 21st century.